The following is a transcript of the Episode 8 of theChoiceFM podcast. Which can be listened to for free via Youtube here. Today, I wanted to share with you my thoughts on topic of self service. 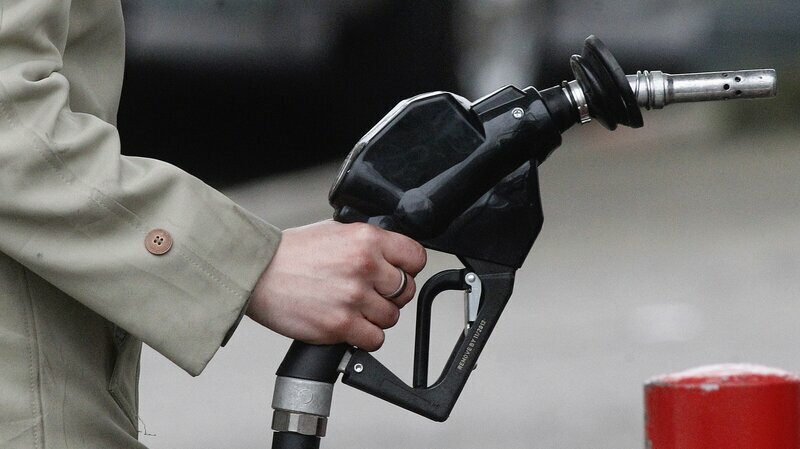 This all started with a story by SAMANTHA RAPHELSON, titled, “Oregonians Aren’t Pumped About New Law Allowing Self-Service Gas Stations” in the NPR. In keeping with today’s sarcastic social media style, some of the individuals posting responses implied they were joking, but in total, this story highlights several critically important issues all communities are facing. Is the answer to every issue, as simple as a new rule? When is replacing a human service agent better than a machine? Who profits from this imposed change? And given this example, who does this change serve? The owners, the attendants, the consumer, the regulators? Self service when maintained, could be looked at as selfish, since it will eliminate the gas attendant’s job. Is the government just imposing a rule to service themselves by serving the gas station owners bottom line? Let me know what you think about this topic in the comments below. In addition to this story, I recently listened to a podcast the over the new year’s holiday that triggered an inspirational thought that I want to share with those who follow and listen to my media broadcasts. The podcast I was listening too was a geopolitical show and the host and guest were discussing the significance of the transitional time we are living in, specifically here in the US, and how we as Americans need to not just expect our leaders to “fix everything”. We need to once again, take an active role in service to our country. Now show’s guest was not saying we needed to all enlist in the army, or run for public office. Or even volunteer in our community, as some “social warrior”. He was suggesting that American greatness was founded on the individual, who understand and work together in community to achieve great things. Not just for profit, or fame, but in service to self, family and community. When we become too passive and expect others to do the work, we could, or must do for ourselves, or we are abdicating our responsibility. Sometimes we humans accept changes to technology because it serves our needs, but sometimes with hurts us too. It is all in where you stand on that particular issue. What’s the old saying, “It all depends on your Lot in Life”, or something like that. The show’s guess gave an example, instead of looking to government, or it’s partner – larger corporations – to win the war on drugs, or cancer, or diabetes, heart disease, etc. We as a nation of doers, not followers, must take an “active role” in preventing these events, epidemics really. This definitely hit a cord with me. As I see it, we are not saying that drug addicts, or cancer patients should not be helped by our collective efforts. Of course not. What would say is we need to actively work on the prevention of these events in our own personal lives. Life is not some health lottery, where a few win, and the rest lose. Your health comes in most cases from living a disciplined lifestyle, learned thru education and practiced by individuals, families and societies. Come on people. Wake up to the reality that unhealthy diets, lead to unhealthy conditions, (illnesses). Everyone benefits under this self-service model, unlike the gas station story. Sure, it seems easier for some people compared to others. As humans, we all should understand that our DNA is passed from generation to generation. But that is only 50% of the story. “A kid walked into a candy store with his dad and was bedazzled by the array of treats on offer. He walked along the aisles, picking up bags and putting them back. He just couldn’t make up his mind. “Quick son, make up your mind, we have to go,” His impatient dad said. So many “choices” we must make every day! So many bad choices facing us everyday. We should consider ourselves so fortunate to have any choice in the first place, but most don’t even understand the full implications of this choice. Going old testament, let’s see if your lot in life is just an unlucky event, or opportunity missed. Choosing a healthy lifestyle, requires the individual to make the choice of healthy eating, over unhealthy eating. They also cite a definition from a leading yale doctor, who head the Nutrition Department. After all my searching of self service I found it packed by the following discussion. And if you take some time to research this topic of Self Service, I am sure you will find the term – Service to Self (“STS”) verse Service to Others (“STO”). Of course, this leads to many religious and philosophic discussions. Most follow a pathway of thinking around right and wrong, wicked and blessed, and much chatter on who benefits from the service. I see lots of judgement in these posts, and feel that the issue, judgement, is better left to you, on yourself, unless, what you do, clearly negatively impacts, threatens, harasses, hurts others. I guess I am a libertarian. But I judge labels as negative and don’t like being put in any box -just because may feel this way today, does not mean I may feel differently tomorrow. But I guess the “social media judges” would have a label for that too. Finally, this topic would not be complete without at least a mention of one of the top all time read books -Atlas Shrugged, which I believe is a very good book to help anyone find their way to service to self as not selfish. It least it was for me. I believe that if you can truly take responsibility for one’s state or condition, whatever the matter, financial or health, you can do more to improve your situation than almost anyone else. It may take more time than you have patience, but life is more about the journey than the destination. Why not focus on what is good in your life, along the way, than what still is not how you desire it. Remember, when your “lot” in life, looks too good too fast, you may be on the wrong path before you even realize it. And together, we may be able to help each other more than we realize.